If a suspected third case of the rare hantavirus is confirmed in King County, it could signal an elevated risk of the sometimes fatal disease for months to come, according to public-health officials. A new case of the rare and sometimes lethal hantavirus is suspected in King County. Public-health officials are investigating a case in an Issaquah woman. Test results are expected Thursday in what could be the third case this year in King County. The woman, in her 50s, is hospitalized in intensive care, said Dr. Jeff Duchin of Public Health – Seattle and King County. “We strongly suspect this case will be confirmed,” Duchin said. Her symptoms are consistent with hantavirus pulmonary syndrome (HPS), a severe respiratory condition that kills 36 percent of victims. 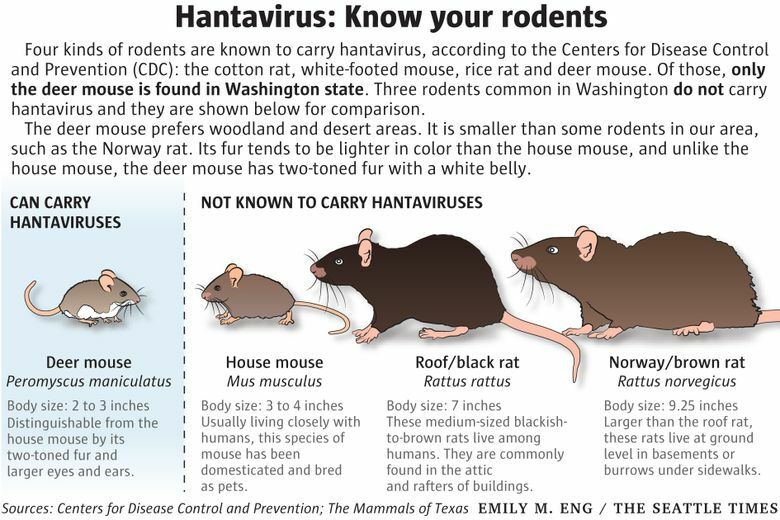 The deer mouse, prevalent in much of North America, is the most common carrier of hantavirus. The “deceptively cute animal,” as the Centers for Disease Control and Prevention (CDC) puts it, lives in woodlands and deserts and is not found in urban areas, Duchin said. An Issaquah man died this year from the disease. A Redmond woman survived after spending 10 days in intensive care. The Issaquah man lived near Squak Mountain, as does the Issaquah woman, Duchin said, but in a different neighborhood, on the opposite side of the mountain. She is in stable condition in intensive care, Duchin said. If her case is confirmed, he said it’s possible more cases could follow. “If the risk is elevated, it will stay that way for months because this is breeding season” for deer mice, he said. Only five cases of hantavirus had been previously diagnosed in King County in the past 20 years, according to state records. Fewer than three cases a year, on average, are reported in the state, most of them east of the Cascades. The disease is most often contracted by breathing mouse droppings, urine or saliva stirred up by cleaning or some other activity. It can’t be transmitted from person to person. Because hantavirus is so rare, Duchin was not convinced the two earlier cases signified a cluster, or problem in King County. But the likely third case makes him more confident, he said, that something is changing in the relationship of deer mice and people. Some have theorized that our wet winter has produced abundant food for the deer mice, including in the Cascade foothills. But after talking to wildlife experts, Duchin said it’s not that simple. Rain, temperature and season are all factors, he said, although food supply is the main driver. He stressed that people should know how to reduce risk. 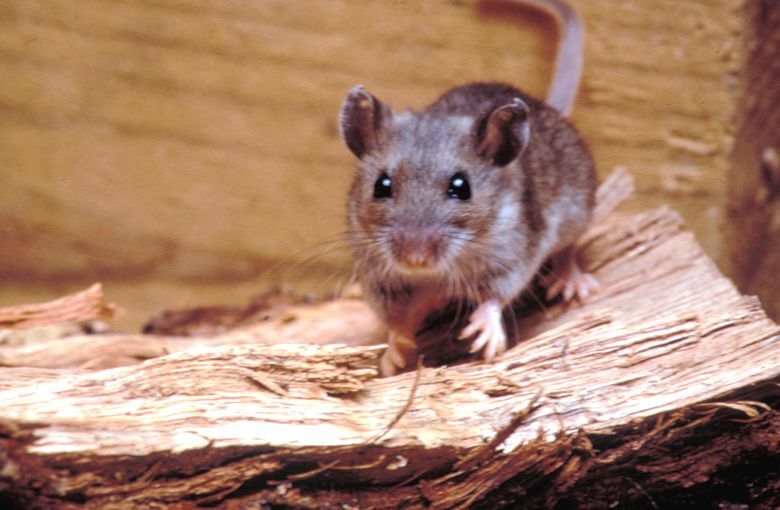 Both the Issaquah man and woman are suspected of contracting the disease after deer mice infested some part of their home environment, which includes garages, woodpiles and sheds, as well as houses. The Redmond woman suspects that mice nested near her car’s ventilation system. People should wear gloves and masks when cleaning areas where mice may have nested, according to the CDC. They should spray urine and droppings with bleach and water so as to reduce risk of transmission. They should wipe up the area with a paper towel, which should be thrown in the garbage. They should not sweep or vacuum droppings or nests, because that would cause virus particles to go into the air where they could be breathed. Wear plastic or rubber gloves if disposing of a dead mouse or rat, and wash gloved hands with soap and water or disinfectant before taking them off. Then wash your hands with soap and water after removing gloves.